There are some beautiful outdoor wedding venues in Devon – with its dramatic coastline and sandy beaches, wild natural beauty, rolling countryside and array of fine country houses and hotels. Focusing on five different locations, here are some of our favourites. 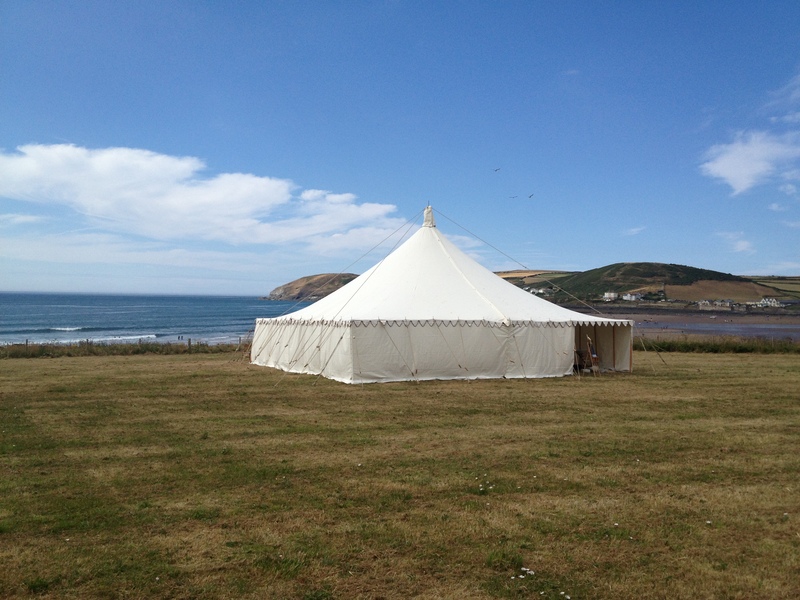 All are fabulous for their own special reasons, and of course all can become the venue for the outdoor Devon wedding of your dreams – just hire one of our traditional style marquees or tents, and take a look at our marquee styling service too. For a laid back, beach chic wedding venue, why not hire a field next to the sea and watch the sun go down whilst kicking back to an acoustic vibe. 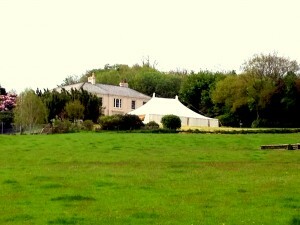 The setting is perfect for hay bales and bunting, hog roast and cider bar, candles and fire pits. The field can be hired for up to 4 days – just add a marquee or tipi, generator, luxury loos and away you go. 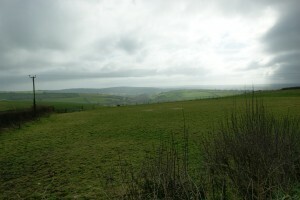 For those seeking a Church wedding, both Braunton and Georgeham are only a 10 minute drive away. With plenty of access to parking, this is the perfect option if you are looking for a relaxed and informal wedding celebration. and as such is a very special venue choice. 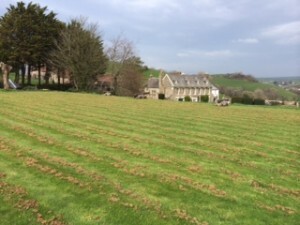 The top lawn is available as a marquee site for up to 150 guests. There are reception rooms available to hire within the main house itself (Drawing Room, Dining Room, Ballroom and Kitchen). It’s just a short walk from St Brannocks Church, and close to the village centre with ample parking and overnight accommodation of eight bedrooms. This offers flexible options in the most exquisite location, and is perfect for your country chic wedding – think vintage elegance and country romance. Set in over 400 acres of farmland Coxleigh Barton is also new to the weddings market. 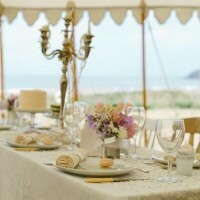 The venue has a field with breathtaking views towards the sea – just hire in a marquee, luxury loos and a catering tent. Four self catering cottages are on site and the owners are happy to allow camping – perfect for a Glamping Festival-style wedding, which lends itself perfectly to dancing the night away to a Ceilidh band. For church wedding services and registry office Barnstaple is just ten minutes away. Knapp House is a beautiful Arts & Crafts House set in the heart of Exmoor. With four luxurious self catering cottages onsite, close proximity to Dunster for church and additional accommodation, lots of parking and breathtaking views, it provides the perfect backdrop for an elegant Exmoor Chic wedding. Knapp House provides a stunning marquee site – simply add luxury loos and a catering tent. 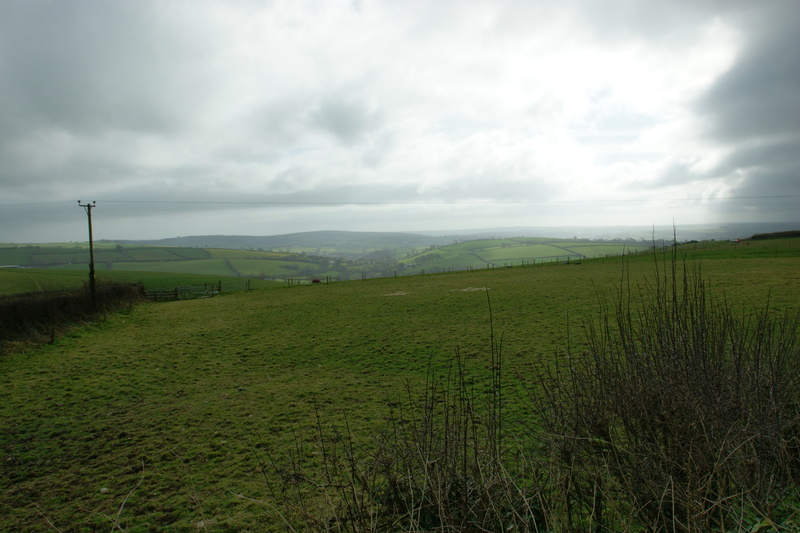 Hallsannery is a beautiful listed manor house with stunning views over Bideford and the River Taw. 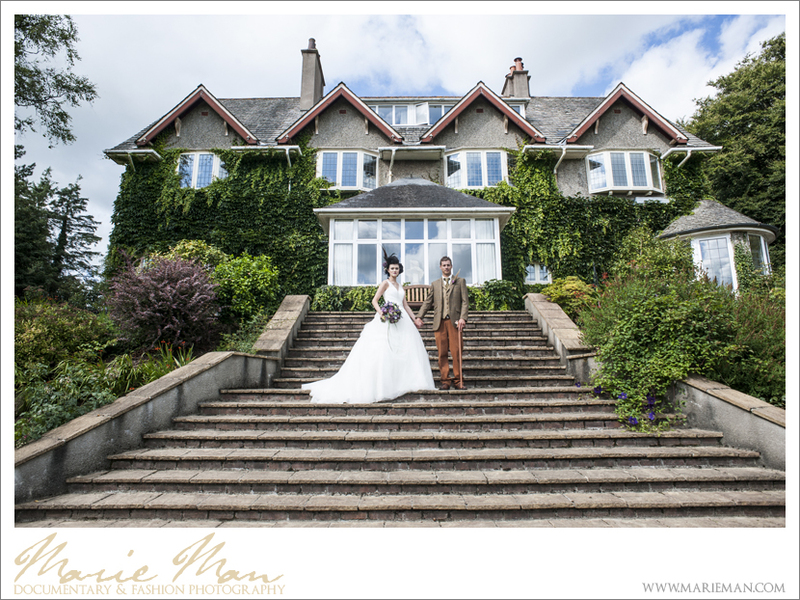 You can hire the house for the whole weekend (includes 11 ensuite bedrooms plus Coach House), hold your wedding ceremony inside or outside under the Grand Central Portico, and position your marquee on the front lawn to take in the gorgeous vista.